+I was glad I had an entirely free weekend to spend hours in the kitchen putting away food from the garden. 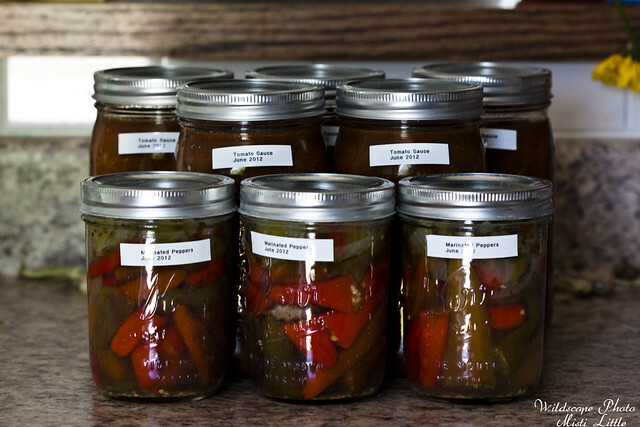 +I made five jars of spaghetti sauce, three jars of marinated peppers (and more will be made using this recipe further down in the UC Davis guide), and put away seven vacuum sealed bags of beans to the freezer. I’m completely out of freezer space, attempting to be creative and tuck things in places, but I’m plumb out of room. Good news is that our small dorm freezer is coming in our POD sometime next week after we move into our new house! +Speaking of houses, we’re closing at the end of this week and I fully expect to be quite busy as we will be cleaning up, painting, taking down trees and other maintenance issues that need addressing, so I’ve scheduled some posts for next week. The posts are some very old ones from the old format of my blog and likely they haven’t been seen by many people. It was a fun trip down memory lane dredging them up! +I’ve had some nature deficit disorder lately so I rambled in the woods yesterday. I took a lot of photos so I will have those to share later on this week. Oh, the smell of the pine under the intense Texas heat was divine! The heat itself wasn’t terribly bad (100* that day) because I was under the shade, but I ventured to our garden after, which is in full sun, and I had a hard time keeping sweat out of my eyes. +As for the garden, I feel another transition state coming—cucumbers and tomatoes will be moving out soon, I think. But the melons have exploded—one of our beds is completely out of control. I think it would take over the garden if we let it. +Florence + The Machine’s Cosmic Love live without all the dramatic music on the album. 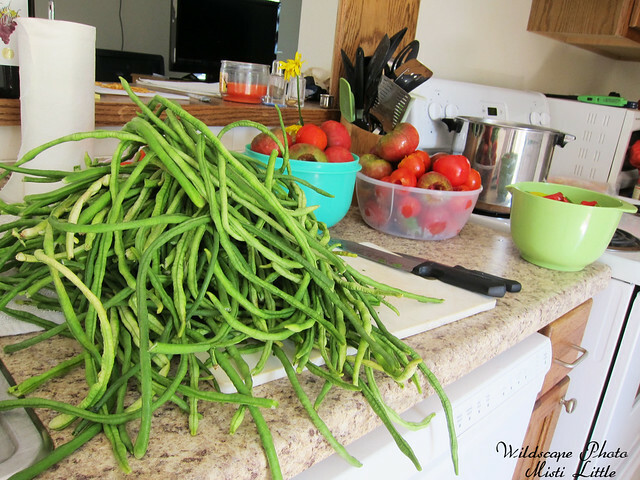 I’m over at Sprout Dispatch today talking about our green bean harvest. Come say hi! Gracie bought a few packs of bean seeds the last time we were at Home Depot (they are her favorite veg!) but we haven’t gotten around to planting them yet. I’m excited for when we do, although we need to get a support going for them. The last time I grew them (when I first started gardening) I thought a few bamboo skewers would do fine (!!!! NOT !!!) and it was NOT successful, as you can imagine! And I have a Edward Sharpe song on my iPod right now- “Home”- from one of their previous albums. I love the song, and the little interlude in the middle makes me laugh a little. I need to check out their new CD. I also want to get Fiona Apple’s new CD, as well. The peppers look great, can’t wait to try them.